The concept of a Smart Region is a development framework which builds upon the Smart City model, and recognises that, in order for our region to achieve our Smart future potential, we need to consider the opportunities, benefits and challenges that Smart deployment can offer. We need to look beyond the traditional application in the urban context and move towards a Smart future that embraces both urban and rural regional settings. 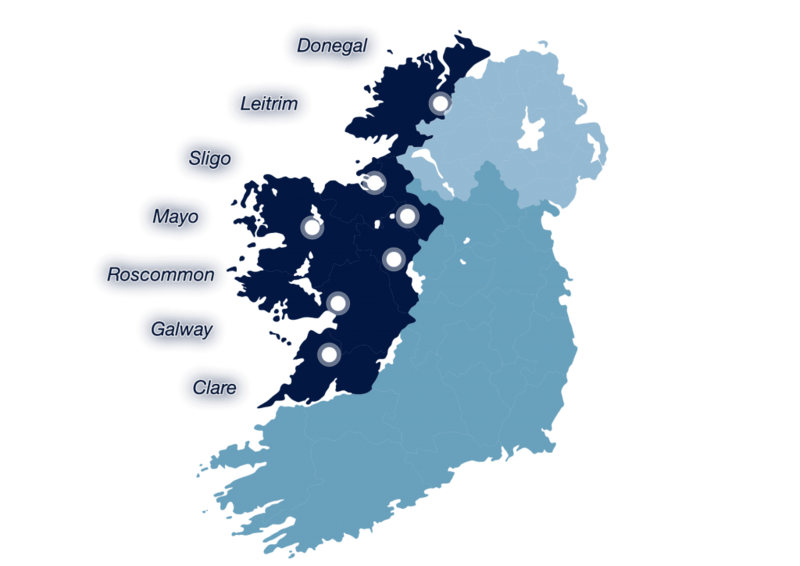 The Smart Atlantic Way Initiative aims to build upon the progress made in the Smart Places Project. The focus of the ‘Smart Places’ Project was to better understand our regional Smart position, through examination of the stakeholders, available capacities, datasets, smart initiatives and innovation networks in the West, North West & Border area of Ireland. This includes the counties of Cavan, Clare, Donegal, Galway, Leitrim, Mayo, Monaghan, Roscommon and Sligo and involves relevant local authorities (nine County Councils and Galway City Council), which represents a population base of 1 million. How far are we from a Smart Region?